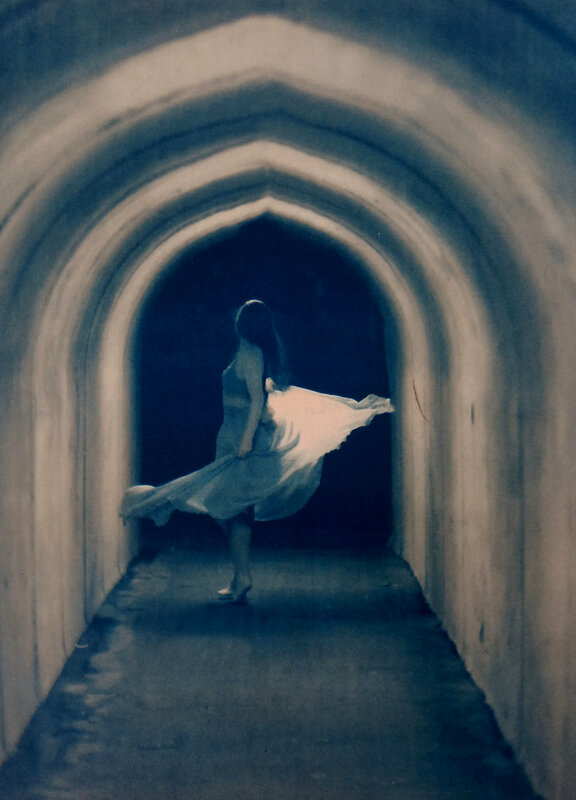 Panopticon Gallery is pleased to present Alchemists: Amy Friend and Diana H. Bloomfield. 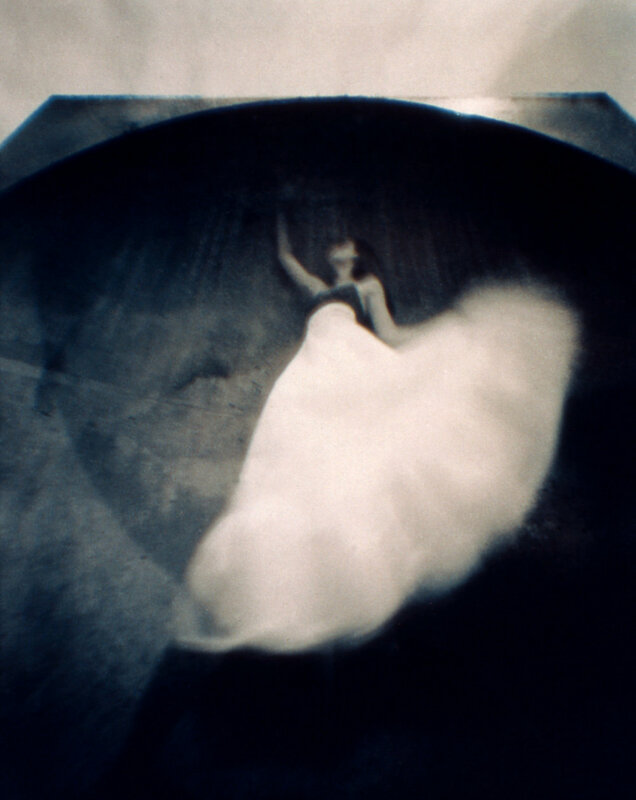 The two artists in this exhibition use unique photographic techniques to transform their subjects and create works of art that imbue the world with a little bit of magic. 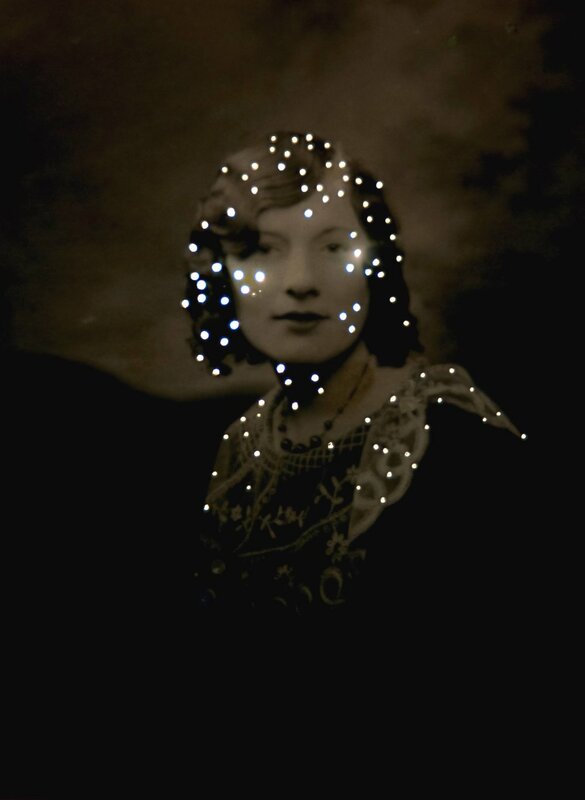 In her series Dare alla Luce, Toronto-based photographer Amy Friend gives new life to found, vintage photographs by puncturing them with a series of pinpricks, then re-photographing them as the light filters through the holes. 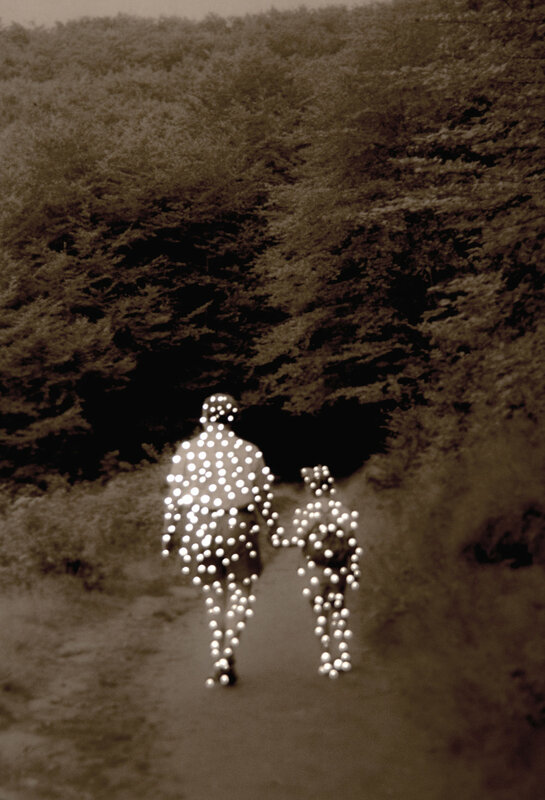 The resulting imagery presents illuminated, ethereal figures born from light. 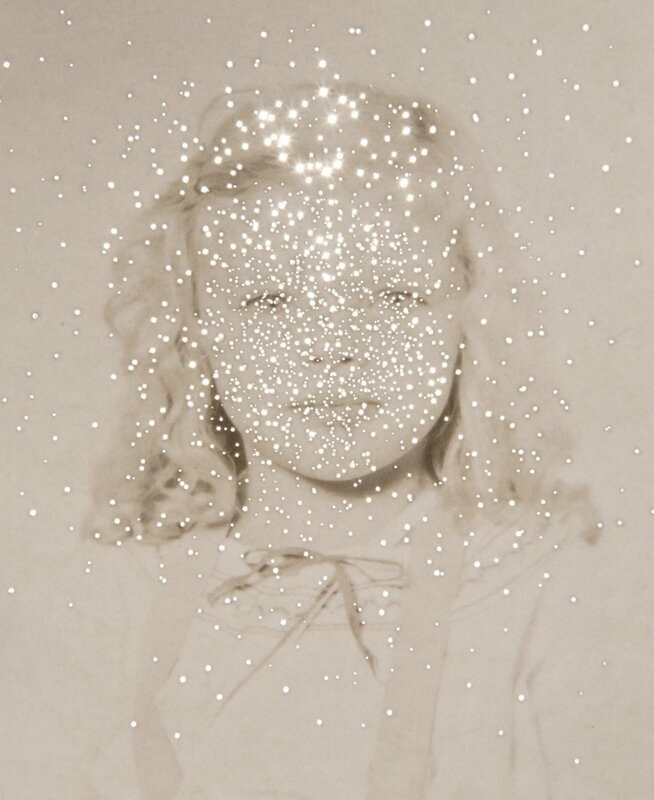 This exhibition corresponds with the release of her newly released monograph of this series entitled Stardust. 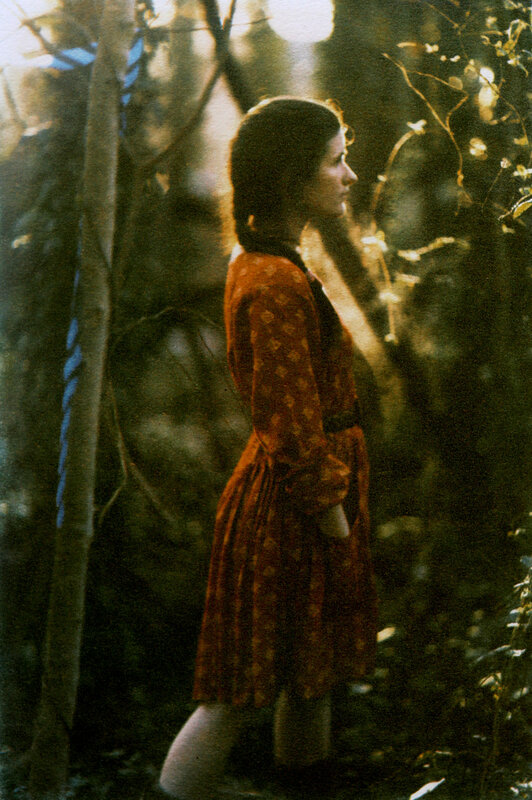 Diana H. Bloomfield employs pinpricks as a method of capture. 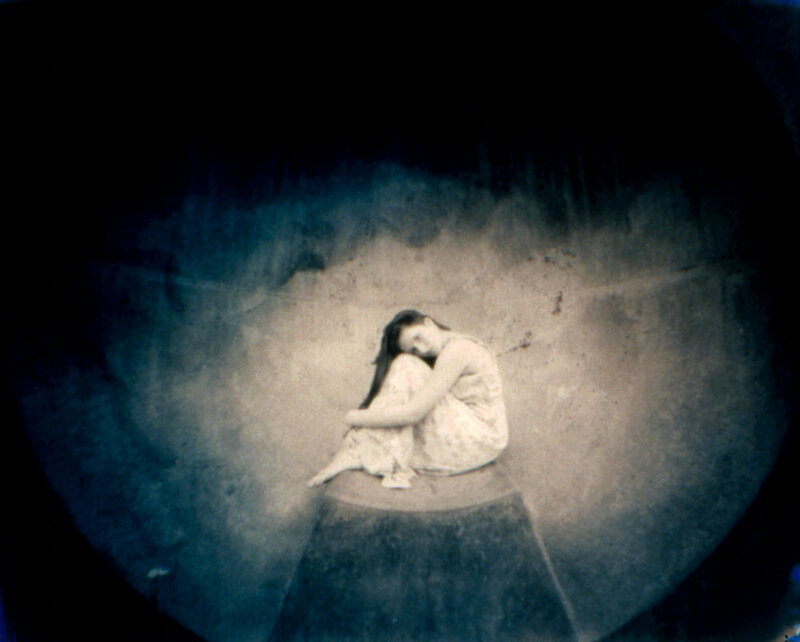 For the past fifteen years, she has used plastic and pinhole cameras to make mysterious and otherworldly photographs of a female figure. 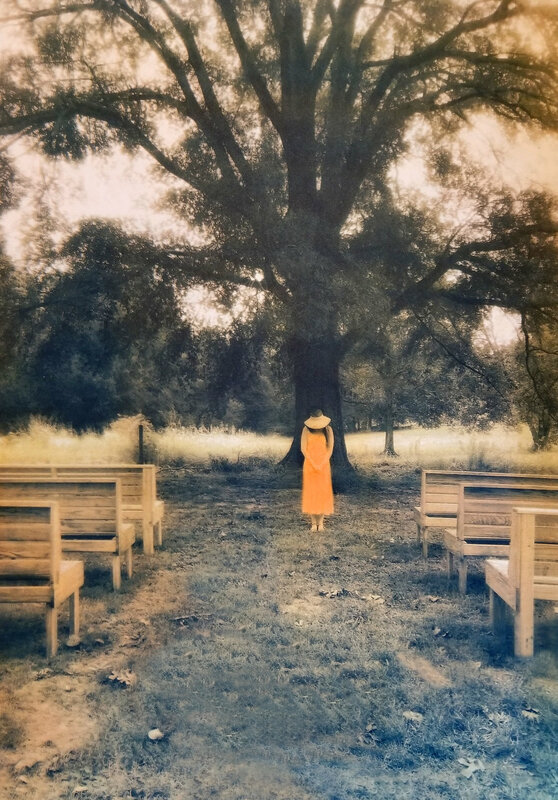 In her studio in Raleigh, North Carolina, Bloomfield prints in gum bichromate, a 19th-century photographic process that combines chemistry and watercolor paints that give her imagery a soft, dreamy quality. 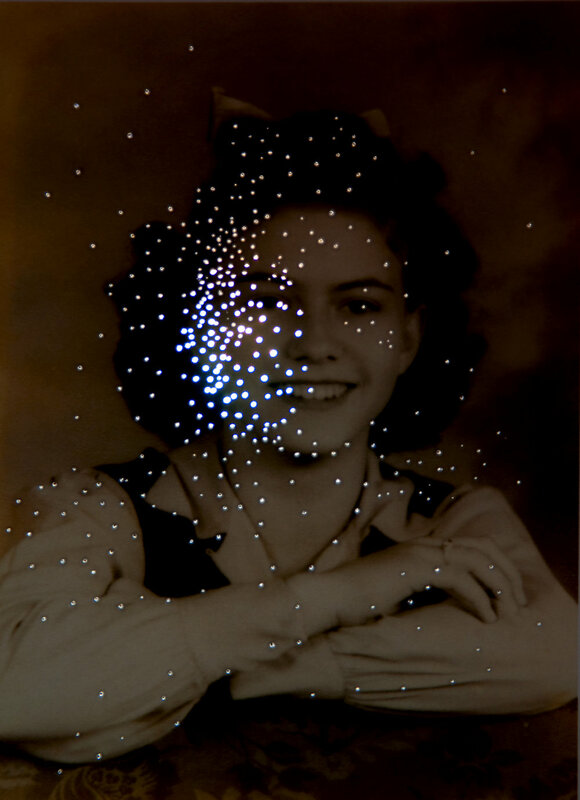 While the photographs address contemporary ideas of visual memory, both photographers create works that are firmly rooted in the past. 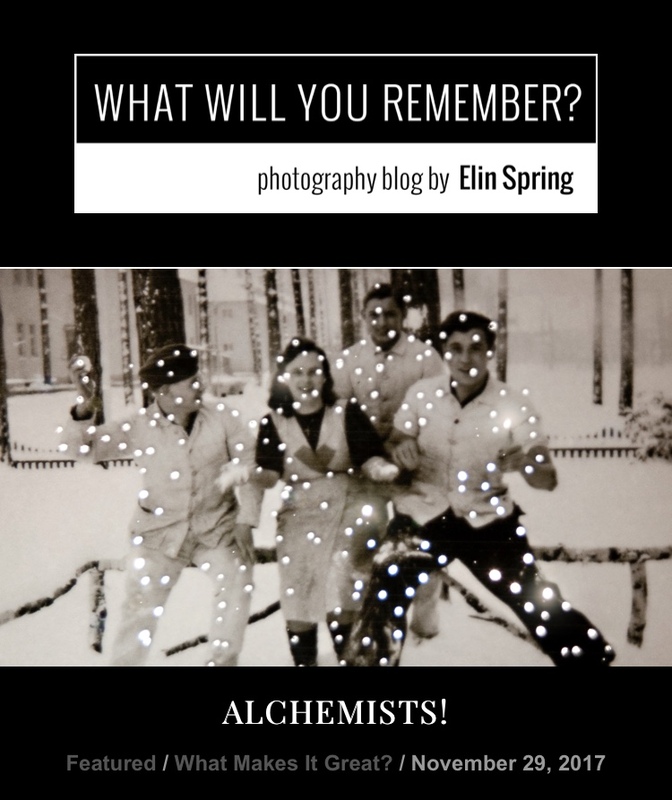 As the days grow colder and the nights grow longer, Alchemists offers an inviting viewing experience where light, memory, and mystery come together in a unique exhibition. 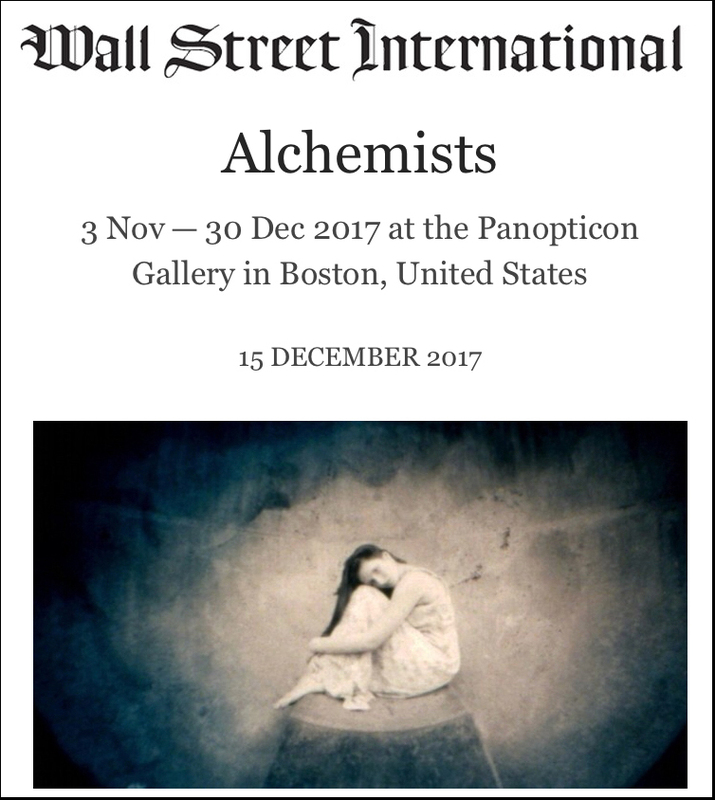 Alchemists is on view from November 3 to December 30, 2017, with an opening reception on Friday, November 10 from 6-8pm. The gallery is open 24 hours a day, seven days a week, with staff available Tuesday – Saturday, 10-6pm. 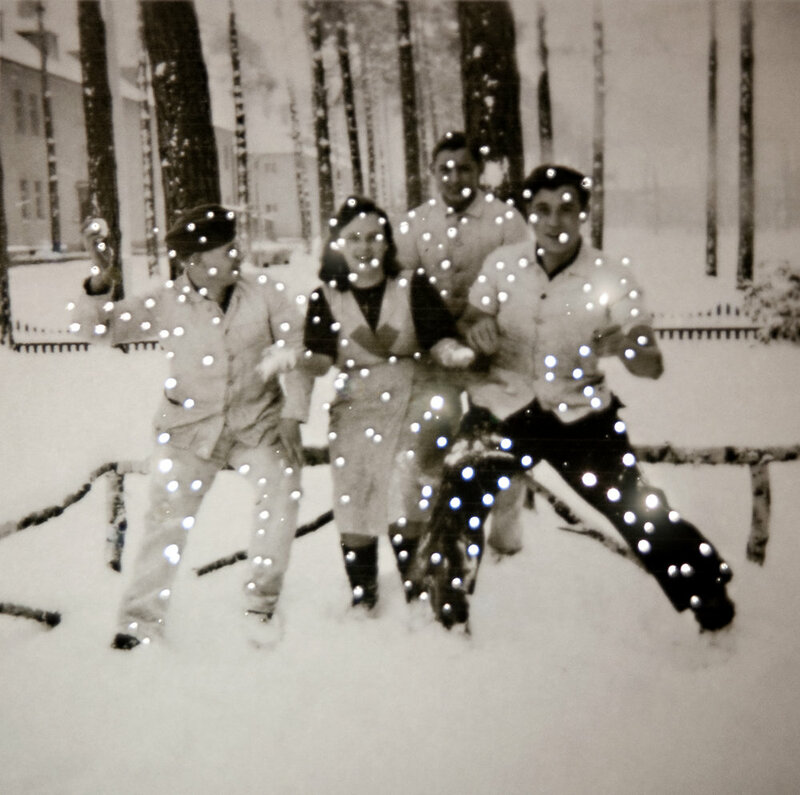 For additional information, contact Gallery Director Kat Kiernan at info@panopticongallery.com or 617.396.7803. 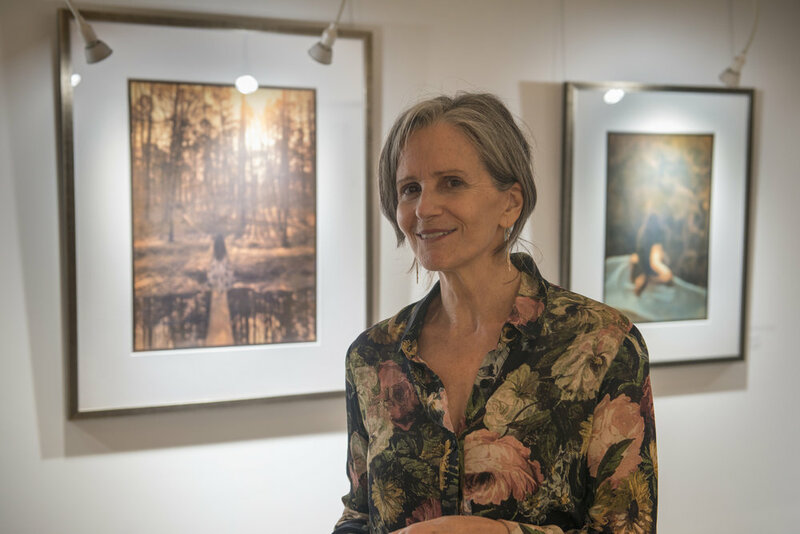 Diana H. Bloomfield with her work at the opening reception. 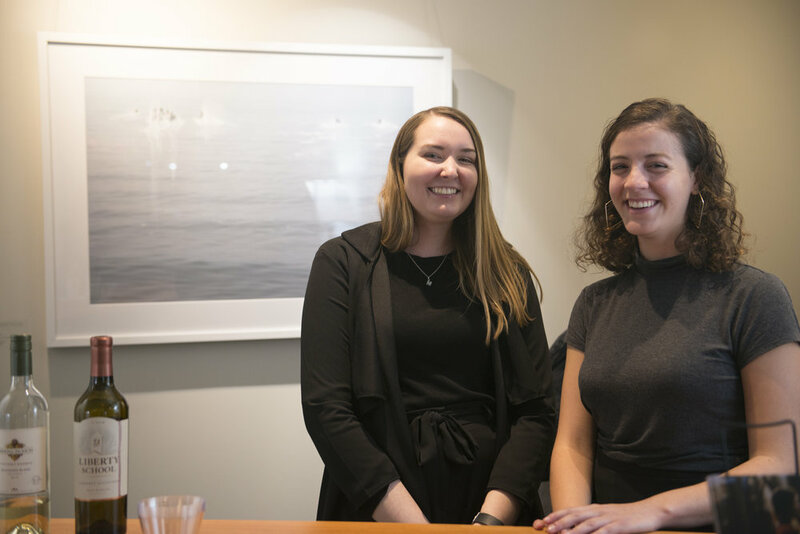 Panopticon Gallery's Fall interns Maddie and Lauren at the opening reception.